Life in prison or death? 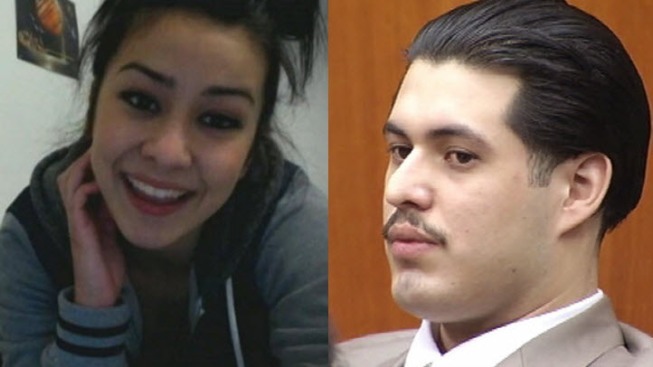 That's what Antolin Garcia Torres faces starting this week after he was found guilty of kidnapping and murdering Morgan Hill teen Sierra LaMar. Sierra disappeared in March 2012, and her body has never been found. Garcia Torres' defense team is trying to spare him from execution during the sentencing phase of his first-degree murder conviction. Proceedings begin Monday, with both sides facing off in a special hearing in front of the same jury that brought the fateful verdict. New court documents indicate it will be a battle of psychologists, with the defense bringing in a forensic psychologist to help make the case to spare Garcia Torres' life. The prosecution aims to counter with its own psychologist to interview and evaluate Garcia Torres to determine whether he has any known mental impairment from his childhood. The psychologists will offer scientific data and insight but will not advocate for a certain penalty, documents show. Garcia Torres' childhood inevitably will be discussed, and the subject likely will turn to a well-documented case of a father convicted on 17 counts of child molestation, the documents show. On Sunday, volunteers who have helped search for Sierra over the past five years say that Garcia Torres' troubled past is no excuse for what what he did to the 15-year-old. "Everybody has rough childhoods, but we are all still walking around, and we are still law-abiding citizens. We are not out committing crimes," said Renee Figueira, a search volunteer. During the sentencing phase, legal experts say, Sierra's parents will be the primary witnesses for the prosecution and will be asked to talk about what it's like losing a child and not knowing where she is. If the prosecution does get to have a psychological expert evaluate Garcia Torres, that evaluation could include eight hours of clinical interviews.